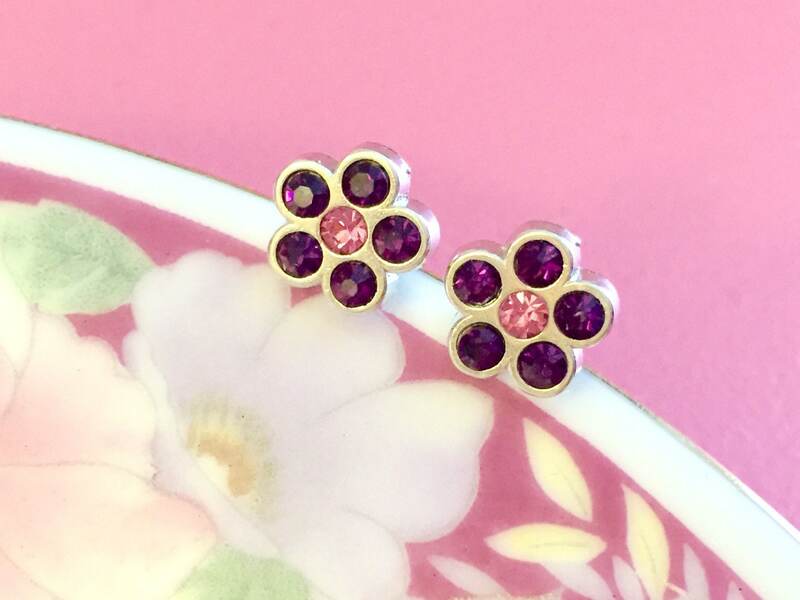 Gorgeous rhinestone flower stud earrings made with purple rhinestones and a pink rhinestone center. The metal base is nickel and lead free. The purple rhinestones often appear black - but when the light catches them you can see that they are purple. 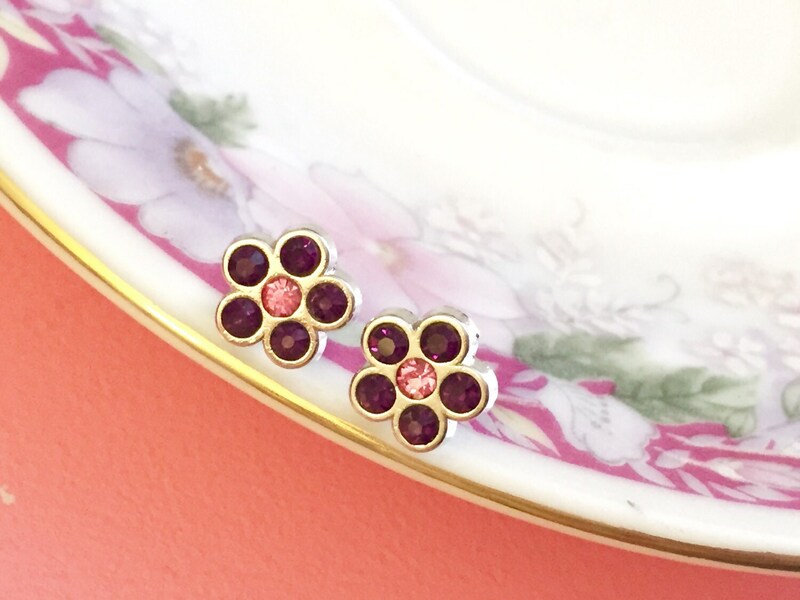 These flowers measure about 3/8 inches (10mm) in diameter.